After leaked in the hands-on video along with the specifications, the Xiaomi Redmi 7 has been officially launched in China. It is a mid-budget device comes with a 6.26-inch 19:9 waterdrop notch display, up to 4GB RAM, Dual Rear Cameras and fingerprint sensor from the Xiaomi being launched today. 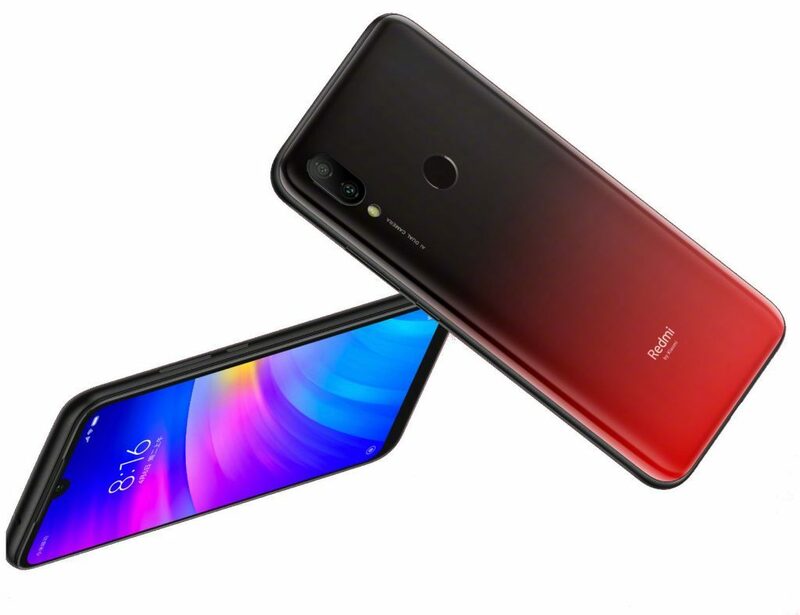 The Xiaomi Redmi 7 price in China starts from CNY 699 – approximately $104 for the 2GB RAM with 16GB storage version, CNY 799 – approximately $119 for the 3GB RAM with 32GB storage model. While the 4GB RAM with 64GB storage version costs CNY 999 – approximately $148. It will go on sale in China from March 26th and the handset comes in Blue, Red and Black color options. 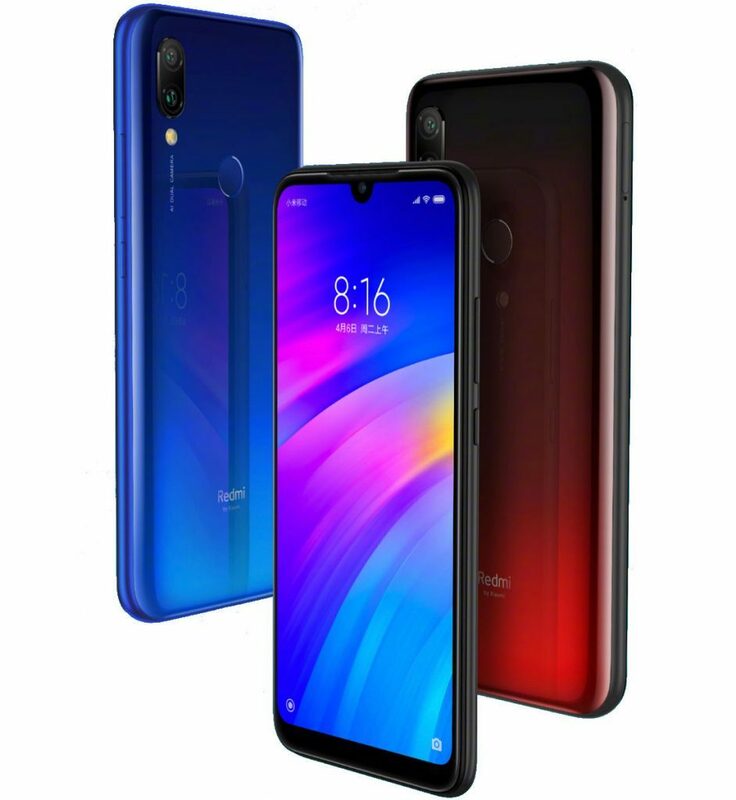 The Xiaomi Redmi 7 features a 6.26-inch 2.5D curved glass display with HD+ (720 x 1520 pixels) resolution, 19:9 aspect ratio and 84% NTSC Color Gamut and Corning Gorilla Glass 5 protection. The device has a gradient finish on the back and features P2i nano-coating making it splash proof. It is powered by a 1.8 GHz octa-core processor which supported by Snapdragon 632 14nm Mobile Platform with Adreno 506 GPU and 2GB RAM with 16GB storage / 3GB RAM with 32GB storage / 4GB RAM with 64GB of inbuilt storage which can be expanded via microSD card up to 512GB. On the camera front, the Redmi 7 flaunts a dual rear camera setup: a 12-megapixel rear camera with 1.12um pixel size, f/2.2 aperture, PDAF, LED flash along with a secondary 2-megapixel camera for capturing depth information in portrait shots. For selfie, there is an 8-megapixel front-facing camera for selfie. The Xiaomi Redmi 7 has a fingerprint sensor on the back and also supports Infrared sensor. The handset runs on Android 9.0 Pie -based on MIUI 10 out of the box. It packs a 4000mAh battery with dual SIM slot with dual standby. For connectivity includes 4G VoLTE, 3G, Wi-Fi 802.11 b/g/n/ac, GPS, GLONASS, Bluetooth 5, and 3.5mm audio jack. The device measures 158.73×75.58×8.47mm and weighs 180 grams.